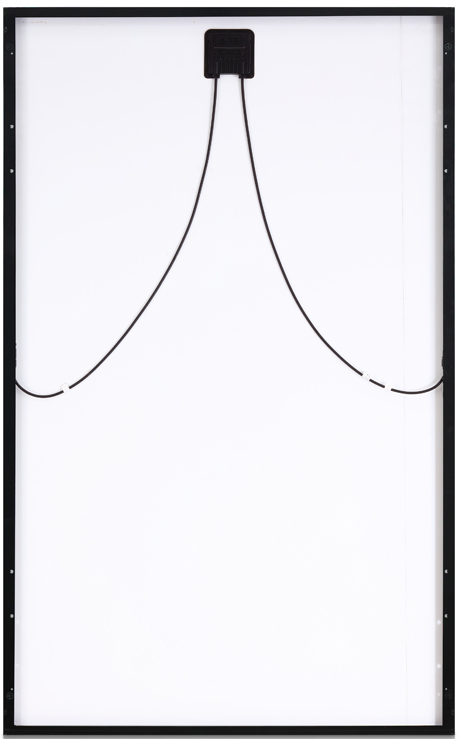 $1.00/watt | Advanced LG NeOn R technology | Mono | Black frame | 350 watts | Higher Efficiency | 60 cells | MC4-type conn. If you have limited roof space and have been looking for a solar panel with high power output, the new LG NeOn R 350Q1C-A5 could be the panel for you. 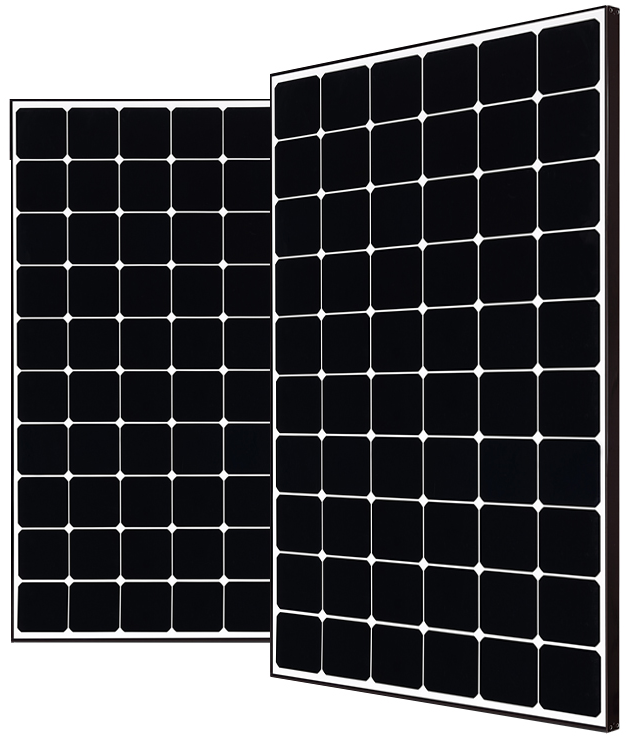 The LG Neon R panels are priced higher, but this highly efficient module is designed for top level global performance. 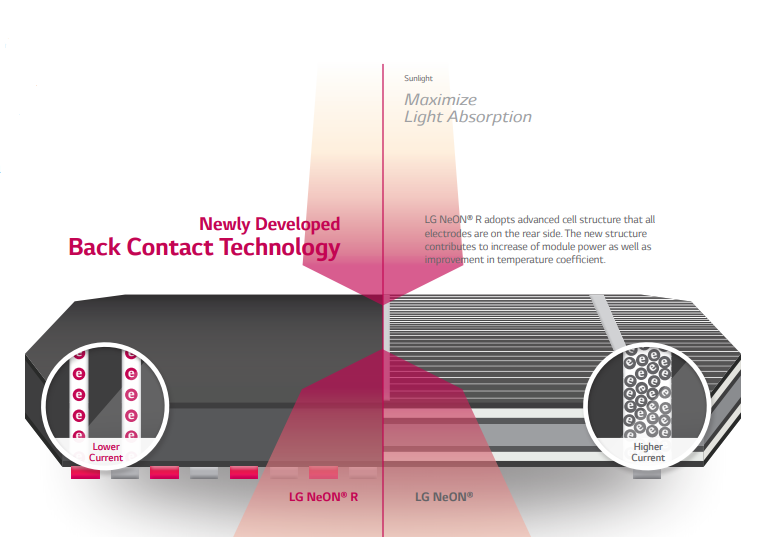 The LG Neon R is designed to maximize light absorption using an advanced cell structure which places all the electrodes on the rear side of the panel. This improves the output of the panel and also the temperature coefficient. While sunlight is needed for solar modules to create energy, the increased temperature of the system normally decreases the output. However, the LG Neon R is designed to maintain high performance even on hot days. 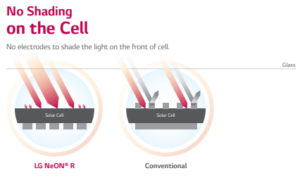 The LG 350Q1C-A5 is an advanced N-type panel and has almost no boron; the wafers are able to minimize light-induced degradation or LID (the power drop that occurs right after installation). This performance enhancement continues throughout the life of the solar power system.